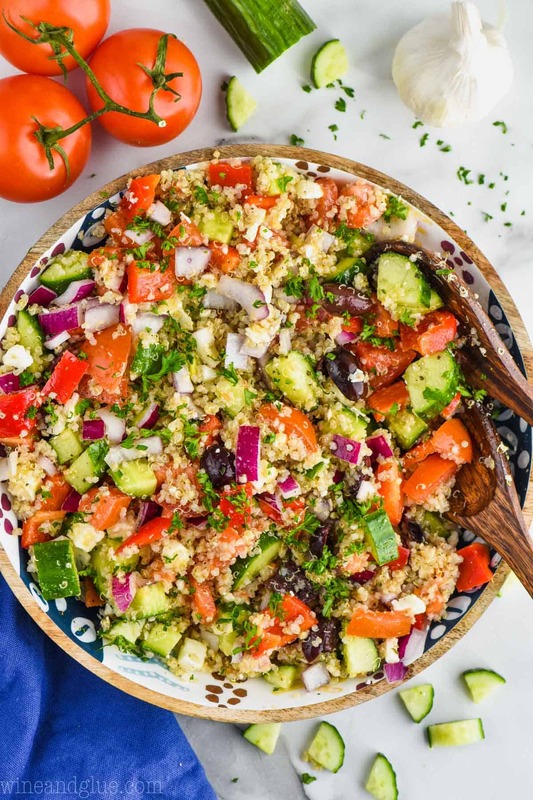 This Greek Quinoa Salad makes such a delicious lunch or light dinner. 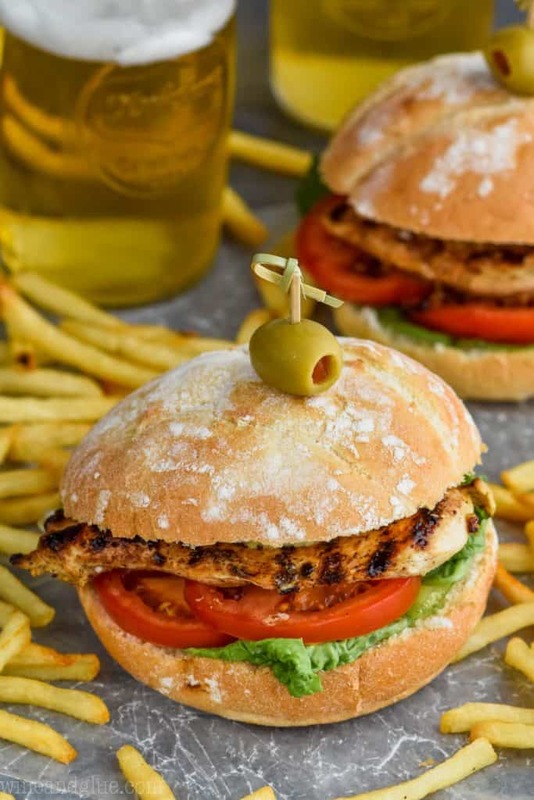 It is full of fresh and delicious ingredients and is pulled together perfectly with Greek Salad Dressing! This Mediterranean Quinoa Salad is the perfect make ahead meal to bring for lunches. Bring it to a potluck, serve it on the side of Greek Stuffed Chicken, or eat it all on it’s own! Make it even easier by starting with Instant Pot Quinoa. Recently we had someone over to our house to do some work, and I was in the middle of shooting some videos when they arrived. I was a little horrified because when I work I’m kind of like a tornado on crack. I manage to mess up the kitchen and my office and everything that is in between. And given that our house has an open floor plan, that’s a fair amount of crack tornado wreckage. Seriously, it looked like a bomb went off in my kitchen. I sheepishly explained what I do for a living. This kind and generous soul asked what I was making. When I said, “Oh! 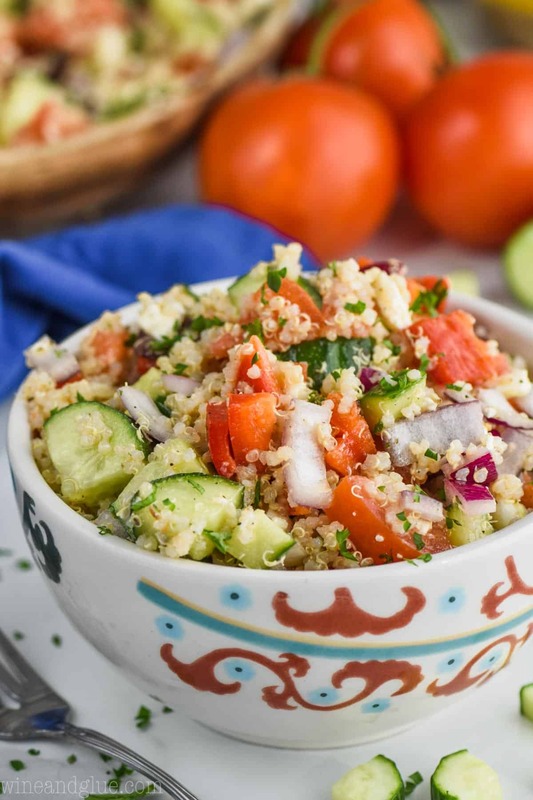 Greek Quinoa Salad!” with more than just a little twinkle in my eye, she met me with some serious skepticism. So I launched into why I love this Mediterranean Quinoa (and quinoa in general) so much. If you have been following me for a while, you know I love quinoa. I’m not saying that you need to get on board for us to be friends, but it wouldn’t hurt. Okay, but in all seriousness, there is so much that is great about quinoa. 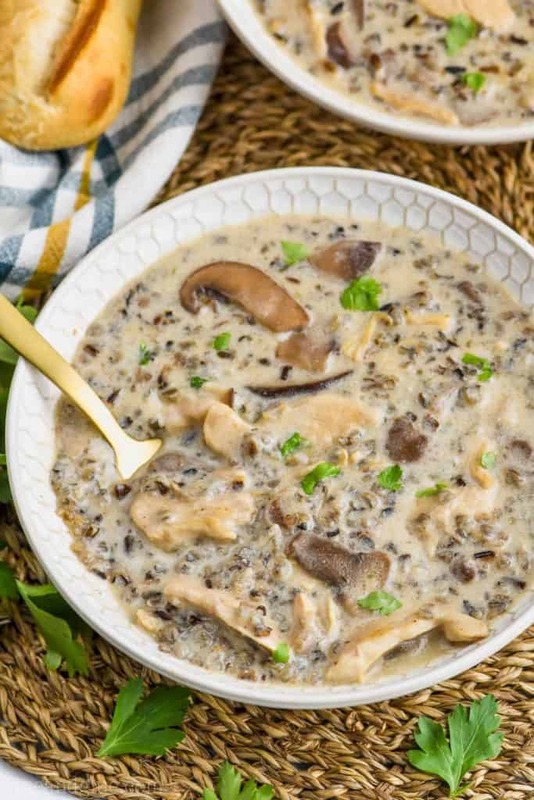 The thing that I love the most about it is that it acts like both a carbohydrate and a protein in recipe. It’s consistency is so much like rice (hence me turning the classic Cilantro Lime Rice into Cilantro Lime Quinoa), but it is technically a seed, so it has protein in it. That means that it keeps you fuller longer. Which for me personally means that I eat less. Which is kind of a great thing, because we can’t call the muffin top “baby weight” anymore when the baby is going to be five in spring. Yikes. 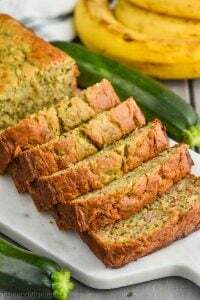 If you want to read more about my love of quinoa, you can check out my Quinoa Breakfast Recipe, it is a great breakfast that keeps me full all morning. You could also read this post about Instant Pot Quinoa. It is an easy way to make it and it turns out perfect every time. 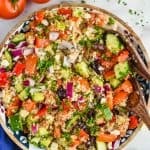 This Greek Quinoa Salad, or Mediterranean Quinoa Salad, is amazing because it comes together so easily. It is full of amazing fresh ingredients and totally packed with flavor. 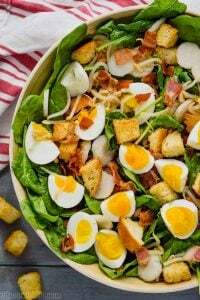 It is a delicious cold salad that is perfect to make ahead and eat all week long. Toss all of the ingredients together and then dress it lightly, adding more to taste. Isn’t it so simple? 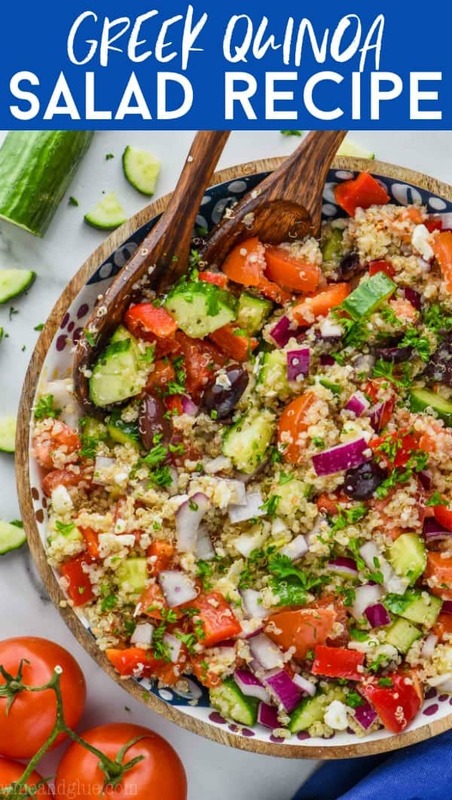 This Greek Quinoa Salad makes such a delicious lunch or light dinner. 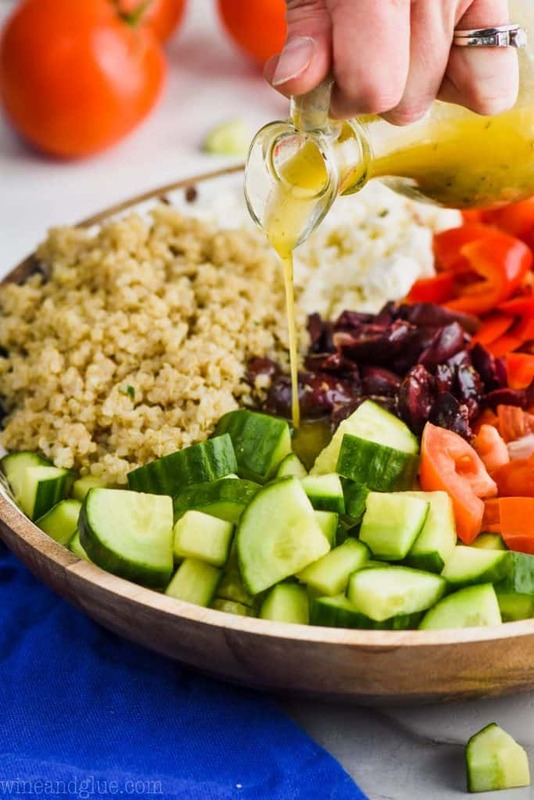 It is full of fresh and delicious ingredients and is pulled together perfectly with Greek Salad Dressing! 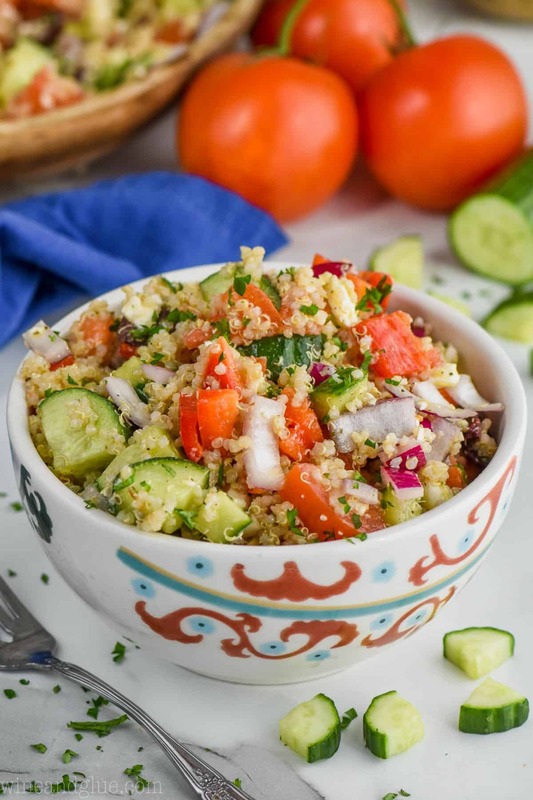 This Mediterranean Quinoa Salad is the perfect make ahead meal to bring for lunches. Combine the quinoa and two cups of water in a medium saucepan over medium high heat until boiling. Reduce to a simmer, and continue cooking until all the water is absorbed, about 10 to 15 minutes. 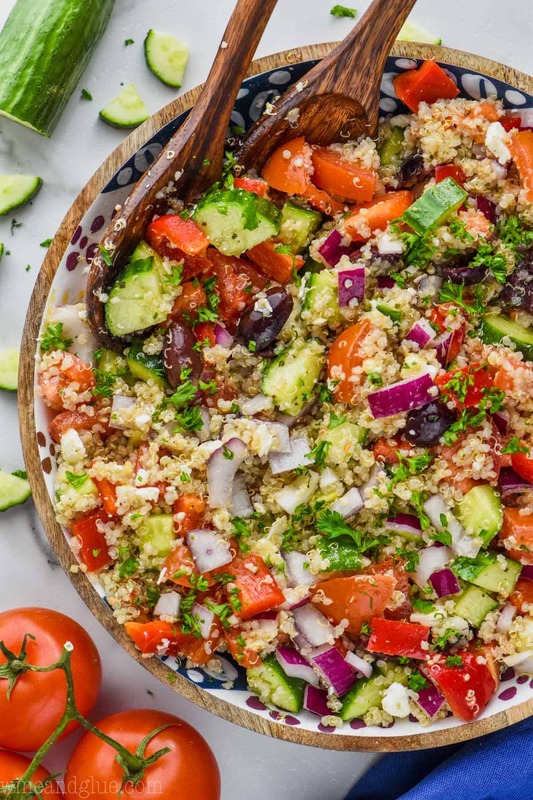 After quinoa has cooled, combine with the veggies and feta. Top with Greek Salad Dressing to taste (about half the original recipe makes for great flavor without being too much). I absolutely LOVE quinoa! This salad looks pretty good! Lisa, you crack me up! 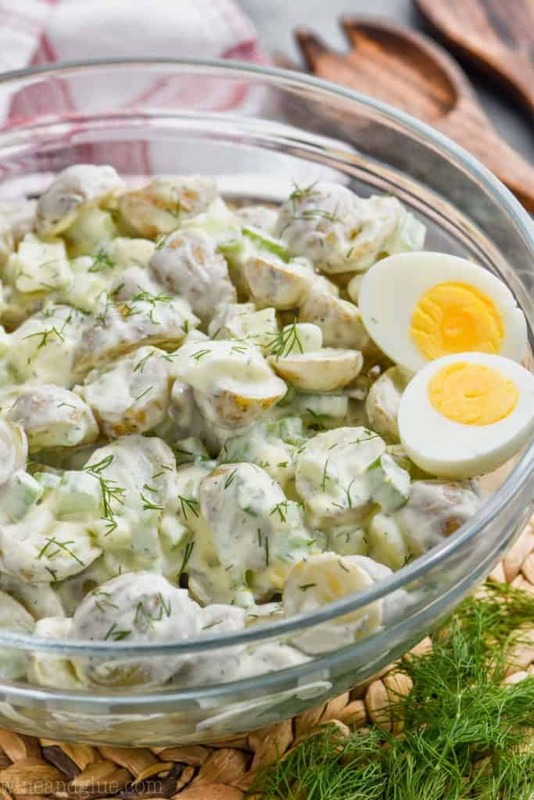 And I’m dangerously close to sausage casing myself, and I don’t even have an adorable baby to show for it 🙂 Guess I’ll have to whip up a batch of this tasty looking salad! 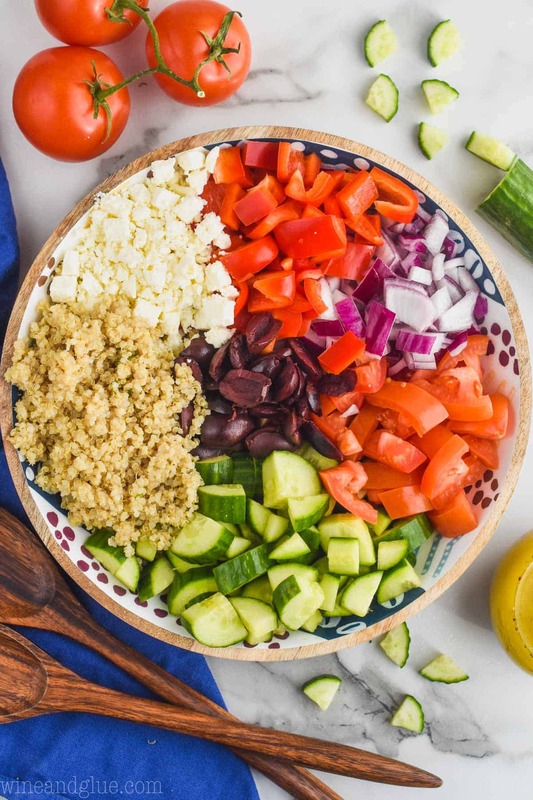 i would never have thought to add quinoa to my greek salad! definitely something i will be trying. thanks! Looks so good! I love quinoa and will have to try this! I have to humbly admit that I’m one of the few people left who has not even tried quinoa. Your recipe has inspired me to try something new though. It isn’t a hot fudge sundae, but it looks pretty good! Of course it doesn’t hurt that I’m also currently kicking my “deal with the weight later” self in the behind. Pound cake top?! Sausage casing territory?! Seriously, Lisa! Your posts crack me up! I totally understand the post-baby weight thing! I never lost weight when I was nursing but seemed that as soon as I stopped, it was easier to lose. What’s up with that?! This Quinoa Bowl looks right up my alley! 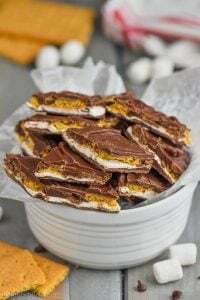 Pinned and can’t wait to try it!! Well I know I love Greek salads. I know that I am fond of quinoa in dishes. So this has to be a winning combination. Very creative. Oh I’m super excited I found this! What a great idea to put that in Quinoa! Thanks! 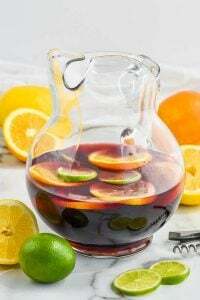 Allison recently posted…How Much Water Should You Drink? Well if you are me, it makes one serving that you eat straight from the mixing bowl. 🙂 If you are a normal person serving this as a main dish, I would say four servings, as a side, probably eight.